The Bulldogs will cap off their 2015 season, and Dak Prescott's career, in today's Belk Bowl vs NC State. This year, the SEC team is the home team for the Belk Bowl, and therefore gets free choice of uniforms. For the first time this year, the Bulldogs' uniform combo was actually announced before the game- actually about three weeks beforehand. Scott Stricklin quickly announced on Twitter that the Bulldogs would be wearing the shiny maroon helmet and maroon jersey, with the fan's choice of pants. Using Twitter's new poll feature, the @HailStateFB account ran a poll asking fans if the Bulldogs should wear white, maroon, or gray pants in the Belk Bowl. Predictably, with over 7,500 votes, gray pants won the vote in a landslide, gaining 60% of the votes as compared to maroon's 28% and white's 22%. So, for the third time this season, the Bulldogs will wear the ever-popular shiny-maroon-gray combo. 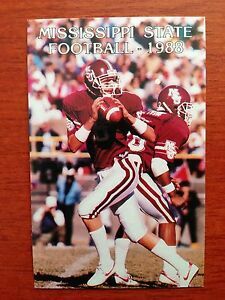 It will be the fourth time that the gray pants have been worn overall; they were worn with the matte helmet and white jersey at Arkansas. 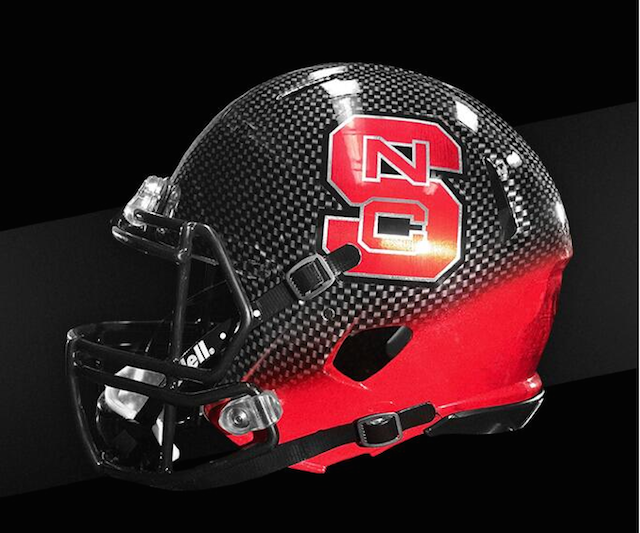 NC State, also an Adidas school, will NOT be going with a traditional look. Instead, they will be pairing this interesting helmet with white jersey (with black outlines) and dark gray pants. Doesn't that color discrepancy sound familiar?